The next installment of Arpège’s Tribute to Colored Diamonds is here, and this time it is dedicated to the brilliant yellow diamonds. In this first part of our tribute we will be exploring the reasons behind their brilliant color, the meaning of a “Canary Yellow”, how florescence affects price, and finally where these stones can be found. Yellow diamonds are among the most commonly found colored stones worldwide, and are among the most popular choices for engagement rings and other forms of precious jewelry. This is mainly due to their vibrant color and relative affordability (compared to the much more rare pinks, blues, greens, and reds). The term “common” and “affordable” has caused many to misconceive yellow diamonds as being lesser, this however is not the case. If 0.01% of all diamonds mined are naturally colored (1/10,000 carats), it is estimated that 60% of these do in fact belong to the yellow gem family. 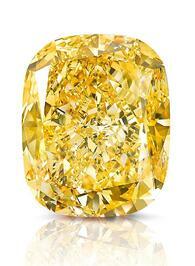 This equates to 1/16,500 carats mined being yellow; which is still very rare. As we have seen, naturally colored diamonds get their distinct hues from either lattice defects, exposure to radiation, or chemical impurities in their carbon structure. Yellow gems belong to the latter. It should be mentioned that Faint, Very Light and Light yellow hues are not considered fancy color diamonds as their other naturally colored counterparts. Conversely, such light hues of yellow are graded using the “D-Z” scale (often at the lower end of the scale). When it comes to yellow diamonds we often come across the term Canary Diamonds, but what does this mean? Just like any other naturally colored diamond, yellows are often found with color modifiers such as green, brown, and orange. While green and brown modifiers and undertones will often warrant a price discount, orange can potentially yield a price premium. Despite the latter however, the most valued and sought after yellow diamonds are those that are pure in color, deeply saturated in a brilliant intense shade of yellow. 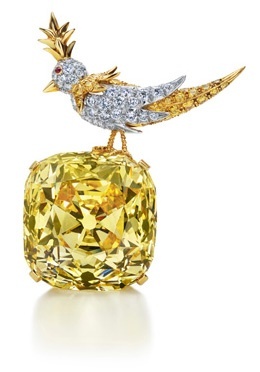 This is what is also known as a Canary Diamond. 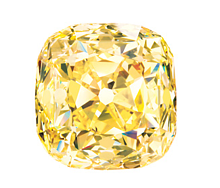 Although the term is not officially recognized by the GIA, Canary Diamonds are characterized as Fancy and/or Vivid Yellow diamonds on official reports. 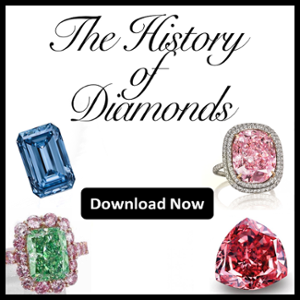 How Does Fluorescence Affect The Price of Yellow Diamonds? Apart from the 4Cs, fluorescence is one of the many significant attributes used to evaluate a diamond’s value. As enthusiasts and investors, you may already know that fluorescence rarely affects the price of naturally colored diamonds. However, yellow stones are an exception to this rule. Like in the case of clear diamonds, fluorescence in yellows will cause price discounts as it is considered to be a flaw in the stone. Fluorescence in yellow diamonds usually appears to be blue (since they are complementary colors), however the effect on the stone’s hue is largely dependent on the strength of the fluorescence. Stronger levels may cause distortions in the gem’s color that can be seen with the naked eye, fainter blues however will be barely noticeable unless the diamond is exposed to UV lighting. Nevertheless, research has shown that medium to strong fluorescence can cause a 15-30% price discount, while faint fluorescence may yield a 10% reduction in its final price, even if there is no apparent effect on the diamond’s color. Apart from psychological factors, the price reduction of the latter can also be attributed to rarity (pure stones with no fluorescence have a much greater rarity and are often in greater demand). Where Can Yellow Diamonds Be Found? Like we mentioned previously, yellow diamonds are among the most common naturally fancy colored gems, and as expected they can be found in a plethora of places around the globe. Yellow diamond roughs can mainly be excavated from mines located in Central Africa, Congo, Sierra Leone, Angola, Brazil, Borneo, Australia, and occasionally in Russia. Higher carat yellows are also known to be found in South Africa. There is however one mine that stands out. Located in Sierra Leone, the Zimmi Mine is capable of producing a caliber of yellow diamonds unrivaled by any other worldwide. The rarity, clarity, and saturation of these stones could easily deem them the “Argyle Pinks” of yellow colored gems. Making vivid yellows seem pale by comparison these stones can fetch significant price premiums often reaching 1.5x-2x the price of vivid yellows form other mines. 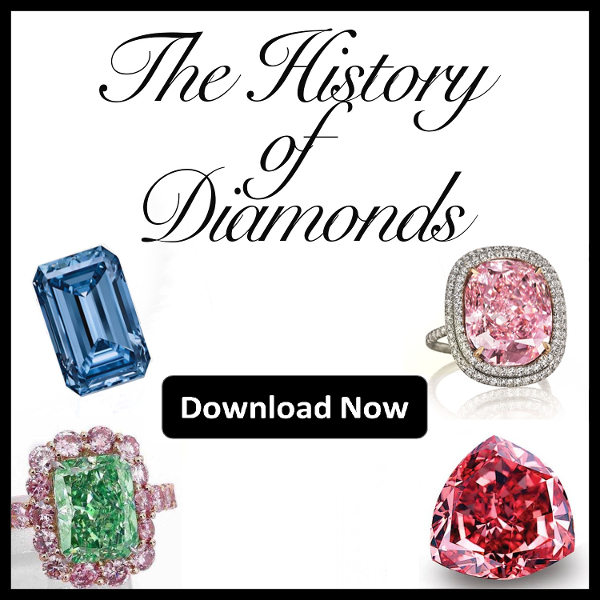 Do not miss part two of this tribute, where we will be taking a look at some of history’s most beautiful and important yellow diamonds.